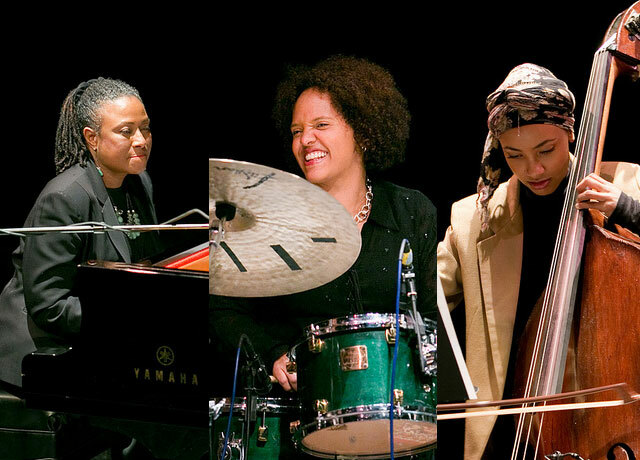 On Thursday, June 14 the DC Jazz Festival will present Feed the Fire: Celebrating Geri Alllen’s Genius, Grace and Fire, an evening music directed by the great drummer Terri Lyne Carrington, with a band comprised of Orrin Evans on piano, Tia Fuller on saxophones, 2018 DC JazzFest artist-in-residence Ben Williams on bass, and vocalist Charenee Wade. The concert will be at Sixth & I on June 14th at 7:30pm (complete details:www.dcjazzfest.org). 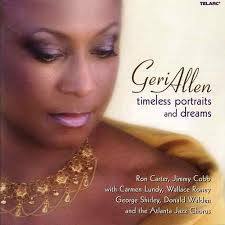 Among Geri Allen’s many achievements in her rich career was a wonderful relationship with NEA Jazz Master vocalist Betty Carter. 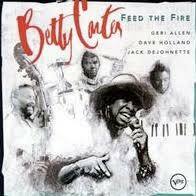 Geri joined Betty’s fellow NEA Jazz Masters, drummer Jack DeJohnette and bassist Dave Holland, to record Betty’s landmark album Feed The Fire. Additionally Geri served as one of the first mentors Betty engaged for her young artist education colony Jazz Ahead, which continues to be presented annually at the Kennedy Center. Additionally they shared manager Ora Harris. Back in ’99 I interviewed Geri Allen in advance of one of the early iterations of Jazz Ahead; we talked about how she came up in the music, meeting and interacting with Betty Carter, the importance of mentoring younger artists, and various aspects of Geri’s Detroit upbringing. 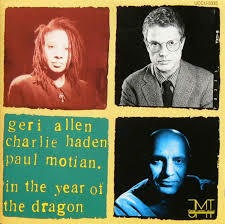 With our June 14th Geri Allen Celebration fast approaching I thought it might be a good time to reprise that interview. Willard Jenkins: Where did you begin your study of this music? 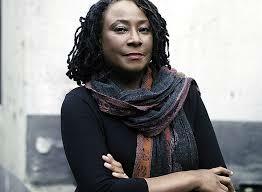 Geri Allen:	From listening; my dad’s record collection was a source of information for me as a kid, he was a big fan. So I would say hearing that music around me all the time was the organic beginnings of it. I had started playing the piano at around 7, I think from having the music in me that way, although I was playing classical piano and taking lessons in that, I still would always go off on my own and try to figure out things, exercise my ear muscles, without even really knowing what I was doing. I think it was in me. WJ: What kind of records did your parents have at the house? GA: Charlie Parker was the main staple in the collection. In my classical lessons I was fortunate to have a teacher that wasn’t intimidated by jazz, so when she saw my interest she supported it, she didn’t try to purge it like a lot of [classical] teachers. I’ve heard stories from friends of mine that [teachers] would tell them things like they were gonna lose their technique if they tried to play jazz, they discouraged it and told them it would interfere – I hate this term – with their legitimate technique. My teacher wasn’t like that at all, she was very open, and even though she knew nothing about [jazz] she supported the creative process I was going through. WJ: At what point did you come into direct contact with professional jazz musicians? GA: In high school; I started as a freshman at Cass Tech in 9th grade. Right away the premier ensemble to be associated with was the jazz ensemble, and there were a lot of really good ensembles. I had already made a decision that I wanted to be a professional musician, and jazz was my vehicle. Even though I was studying a lot of different things I was trying to learn to be a professional, which meant that I would have to cross over genres – at least that was what Marcus Belgrave was telling me. Donald Byrd was another person who was around Cass, his alma mater. He came back and did things with us students; we did “Cristo Redentor” with him live, and he helped us raise money to travel to Australia. And I performed in the madrigal group, in the orchestra, the harp and vocal group (which Dorothy Ashby came out of) and just a really rich environment. But the jazz ensemble was one of the most competitive. WJ: What other professional musicians, besides Marcus Belgrave and Donald Byrd, had an impact on you in those years? GA: I would say Harold McKinney, Kenny Cox, Roy Brooks… I played in a group called Endangered Species with George Goldsmith and it was a great time for a young person because all of them were available and they were especially supportive of that. If you were there for the music, they were there for you. WJ: Endangered Species was one of your earliest bands outside of school? GA: I played in Roy Brooks’ band Artistic Truth. Marcus [Belgrave] is the one that I really spent the most time with. WJ: So he had the most impact on your training? WJ: Obviously it was a rich environment for you to learn, in Detroit. GA: Things like [independent Detroit jazz record label] Strata was going, and the musicians were really self-empowered, and the community was really strong and loved the music. There were places outside of the mainstream circle where music was happening all the time. We used to have a jam session at Northwestern High School, with Ernie Rogers, and we used to be there until 4 and 5 in the morning. All of us aspiring players would be there every Saturday; that was real important to be there. There were a lot of different things that kept you going. WJ: Those organized jam sessions were obviously very important to your development, but those kinds of situations are not available now as much as they were then. Many of the jazz musicians that are arriving now come solely from the conservatory. What do you think is missing from their training if they aren’t able to be involved in that kind of jam session, nurturing environment? GA: I don’t think it’s unfortunate just for the new generation of players, I think its unfortunate for us as a [jazz] community. I think we all need it, and I think the listeners that are involved in coming out to hear those jams gained a lot from that too. I think the tilt on it generally is that it’s the young players coming out that miss out, and that’s true. Something like Betty created [Jazz Ahead] os a [positive alternative, although we really still need those kinds of environments in our community. I think Jazz Ahead is an opportunity for them to rub elbows with the musicians, the great musicians, in the same way we grew up being able to do it. We could do it more often, on a day to day or weekly basis, which is what I think people need to be able to do to perfect their craft, but at least they get a taste of what it is; which will hopefully inspire them to go out and maybe even find ways amongst like minds – even though they’re young too, but we found ways to rehearse at each other’s house and play each other’s music and work things out. Maybe that’ll inspire them to maybe search out the people that are there. In every town there are great musicians and these people really get a lot of energy being able to share that knowledge. WJ: At what point did you come in contact with Betty Carter? GA: I first met her at Howard University, around ’75-’76, and she had a great band with Kenny Washington, Curtis Lundy, and Khalid Moss. It was really exciting to watch her perform, she inspired a lot of us. We were all there, everybody came away with a real big excitement – she brought that. I remember not really talking to her, but just the impact of that. Then I met her maybe three or four years later in Pittsburgh. Nathan [Davis] had told her that I was a musician who admired her work. She was sitting on a panel and I don’t think she knew me from Adam, but she invited me to join her on the panel, and I thought that was really generous since I didn’t really feel like she knew my work. But I think she was trying to encourage me. We had an opportunity to talk, we had lunch, and we started developing a rapport. I remember her piano player was late for the sound check for the performance, so she invited me up to sit in, and that was the first time I played with her. WJ: How did your relationship develop and evolve through the years? GA: She was always really supportive and positive. Once I got to New York it took me some time to get on my feet. I started doing some things as a leader in ’82, which is when I got out of Pittsburgh; ’83-’84 I started being able to take my own trio out. I would see her at different places and she was always real positive. Her music was always a source of inspiration for me. It wasn’t until the late 80s that I actually hooked up with her; she managed me for three years under BetCar. So Ora Harris and Betty took care of me and that was a major turning point in my career, in terms of legitimizing me. I did lots of things with her: we did duos, lots of performances just us. We performed in Europe. We did a duo on ”Droppin’ Things” and people started calling she and I to do duo concerts and we did a number of things. I think from that experience, when the idea came up to do the quartet with Jack [DeJohnette] and Dave [Holland] she put me in there. That was a great opportunity for me to be out there with this strong situation, to be on the road with Betty. We did all of the summer festivals . WJ: Even though you were working with Betty with very experienced musicians, there was still a lot of mentoring? GA: With [Jack DeJohnette and Dave Holland] too. They both worked with Betty when they were up and coming players. They both respected her greatly and so they looked up to her in the same way I did. On the bandstand every night there was something unusual that would occur. I came away from that environment with the tools to be a much better player. There were real specific things that she would help me to make it to the next step as a player; that environment was key. WJ: So I guess you were learning from Jack and Dave as well. GA: Definitely; to play with Jack and Dave, they have that quality that makes you have to rise. I had played with Charlie Haden and Paul Motian in a great trio environment; and I got to play with Ron Carter and Tony Williams, which was a great trio environment. Playing with Jack and Dave prepared me for that environment. I look forward to that opportunity to play with the again because I came away a better player. WJ: Considering those and your earlier experiences what’s your sense of younger musicians learning from older jazz musicians? GA: There’s no other way [laughs]. It’s like what is your sense of breathing air…. you have to breath, there’s no other choice. I think that’s why [Jazz Ahead] is important. Most of the cultivating is going on in the universities, so I highly recommend that students today go to those places where great players are [teaching], because that’s gonna be their opportunity to kind of get a feeling of what that experience was of learning on the streets, and of coming up that way. I have always hoped that the scene will kind of turn around and there will be more such environments city to city so that the music can be thriving in the communities again. I know that there’s a demand for it because whenever you play for people that come around and they are really energized by the music, and you hear a lot of wishing that there was more available. With these young people coming up, their excitement has to help fuel that. There’s a great love for the music out there, and its missed, I hear it from people all the time. WJ: Are there other mentors out there like Betty Carter that young musicians can learn about? GA: I think they are out there, and the more that they seek these people out, the more possibilities there will be for them. But there is a certain amount of homework involved in being put in a position like that. I speak from the standpoint of coming up in a place like Detroit, you were afforded the opportunity if you were serious and if you were really out there trying to get better. The discipline aspect of the arts and music is a necessity, it cultivates more than just your ability to play, it cultivates your personality, it helps you get a sense of what life is. I know for certain that the public schools created that opportunity for me. I took private lessons, my parents made that possible for me so I’m very grateful for it. But I also had the opportunity to experience music daily in a very disciplined, organized, and inspired environment. I think that’s very fundamental, that every young person through their school system have that opportunity. I just hope there is more support of that, because that’ll make a big difference. Through the public schools you should be able to access the great musicians in the city that are just looking for the opportunity to share the music with young people. Somehow it has to be gotten across that this is a viable thing to do. I think that is a big way the music can thrive again, through the public schools, through searching out these musicians whether they have degrees or not, to come in there and share their knowledge and their years of experience. WJ: How will you and Jack work with the Jazz Ahead student musicians for the June program, what kind of environment are you going to develop for them? GA: Creativity! It’ll be about making the music, it’s a hands on thing. You get in there and… just the process of polishing things and trying to get them to the performance level is the whole approach to how I learned. I’m going to work through this with great respect for Jack, of course. The ideas that he’ll bring in will be such a great opportunity for those kids. The idea is to use this as a workshop with a performance opportunity. Basically jazz is workshop, you’re in workshop for your whole life, honing your craft so you can get better. WJ: What is the greatest legacy that Betty Carter left here for us? GA: Self-determination is a big one. She was always a person who was connected with her body, there was like a continuous… Betty was able to always be busy, always working, whether she had a major label behind her or not.